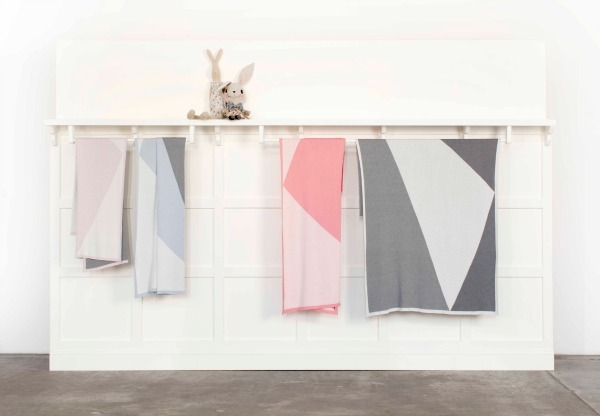 Luxuriously soft and supremely practical, the new range of blankets and throws from Kate and Kate add a touch of modern sophistication to the art of snuggling. 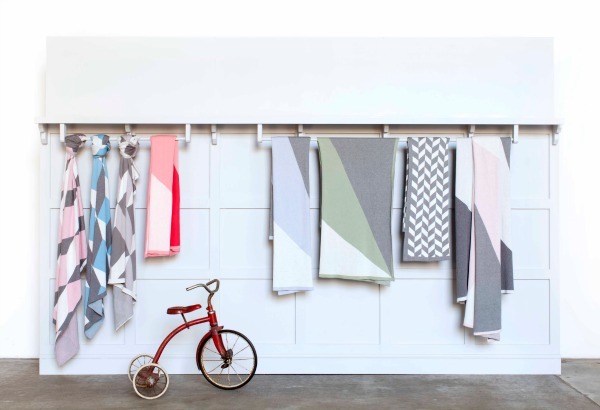 Launched in October 2013, Kate &Kate is the brainchild of Kate Pascoe and Kate Pascoe Squires – Aussie mums, best friends and sisters-in-law who share a design obsession with clean lines, geometric patterns and graphic elegance. 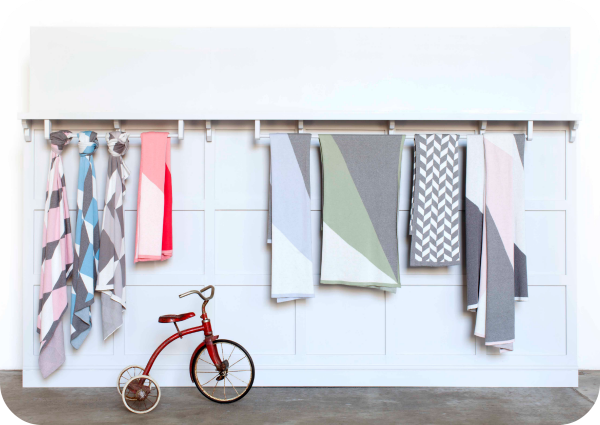 They have brought their passions together in a range of beautiful blankets and throws that are available online and in select stores Australia wide. The baby blanket (85x100cm), regular blanket (110x150cm) and throw (130x180cm) are all very generous in size and are knitted from the softest, breathable cotton. They are free of all harmful substances and are too easy to care for – they can be thrown straight in the washing machine and then tumble dried, making them perfect for hard-wearing families. We are loving the new season range that is about to be released in September. The flash new selection boasts gorgeous summer-inspired names including love letter, the kiss, summer maze and sea tangle. Available in a range of colours with similarly inspiring names like coral blush, blue illusion, windchime, bok choy and excalibur, you can preorder the range online right now. I’m calling it, these baby blankets are lining up to be the gift of choice this baby shower season. 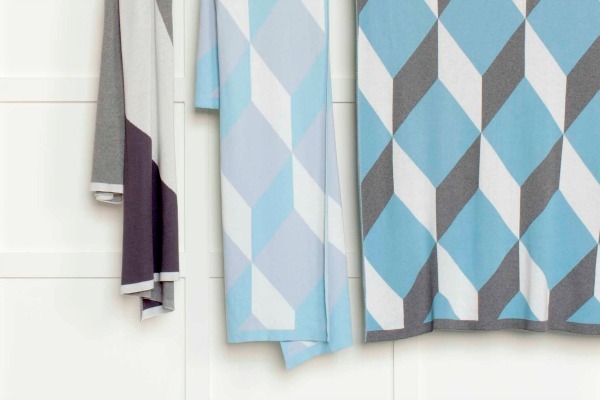 The strong geometric diamond and herringbone patterns do away with traditional baby icons. Instead, the designs are softened up with a stunning choice of colours against on-trend grey and white. Spring may be upon us but the new season of blankets and throws have us wanting to get cosy all year round. Purchase the Kate and Kate collection through their online shop or search for a stockist near you.